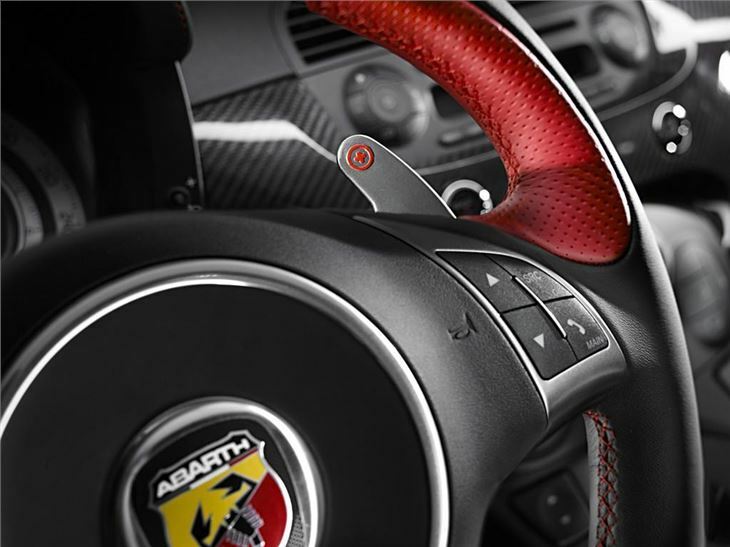 Abarth to launch a 'Ferrari-inspired' version of the 500. 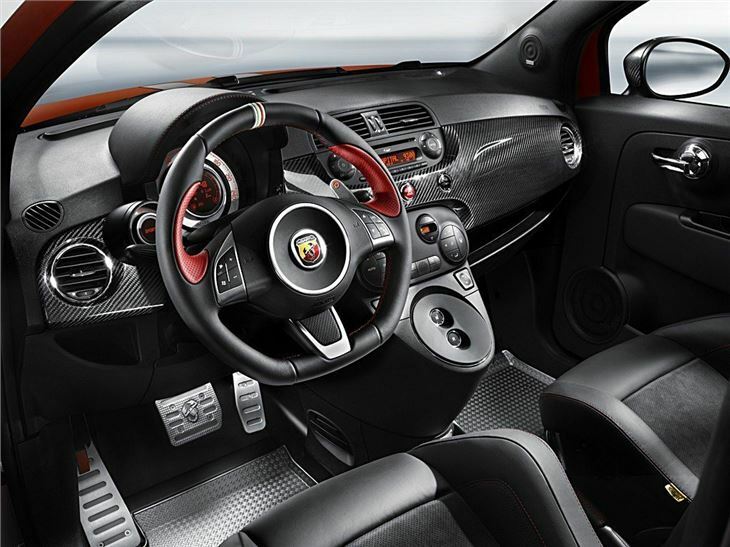 Abarth has taken the wraps off its most expensive model to date, the Ferrari-inspired Abarth 695 Tributo Ferrari. The car is deigned to be the Maranello firm's answer to the Aston Martin Cygnet - another small car to bear a luxury car maker's name. 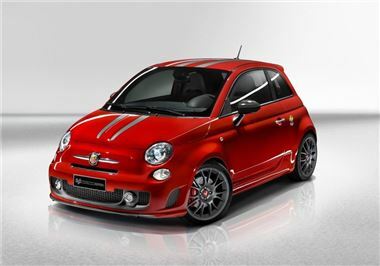 And a similar hefty price tag - the Abarth 695 Tributo Ferrari starts at £29,600 (35,500 euros). That's £15,000 more than the standard Abarth 500. 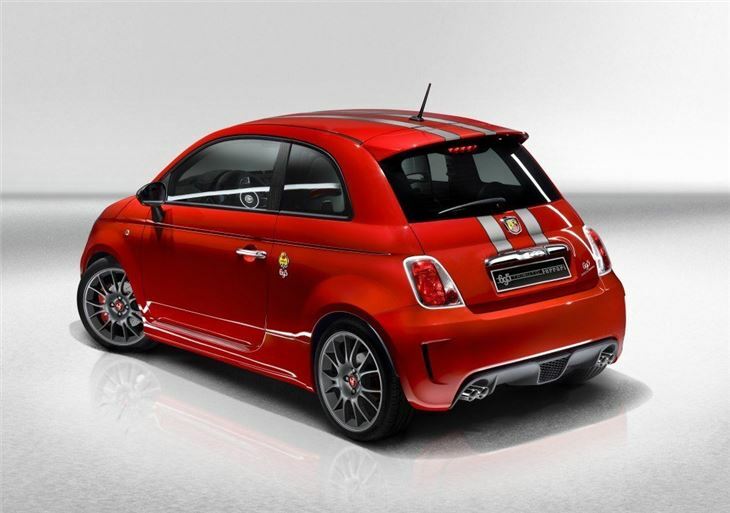 Just 152 Abarth 695 Tributo Ferrari will be available in right hand drive form in Britain. On the outside the new car's livery is inspired by Ferrari's models, with carbon wing mirrors and Corsa Grey wheels and front air intakes. Powered by a 1368cc turbocharged engine, producing 180bhp at 5500rpm and 250Nm torque at 3000rpm, the 695 Tributo Ferrari can accelerate from 0-62mph in seven seconds and has a top speed of 140mph. It returns 43.3mpg on the combined cycle. 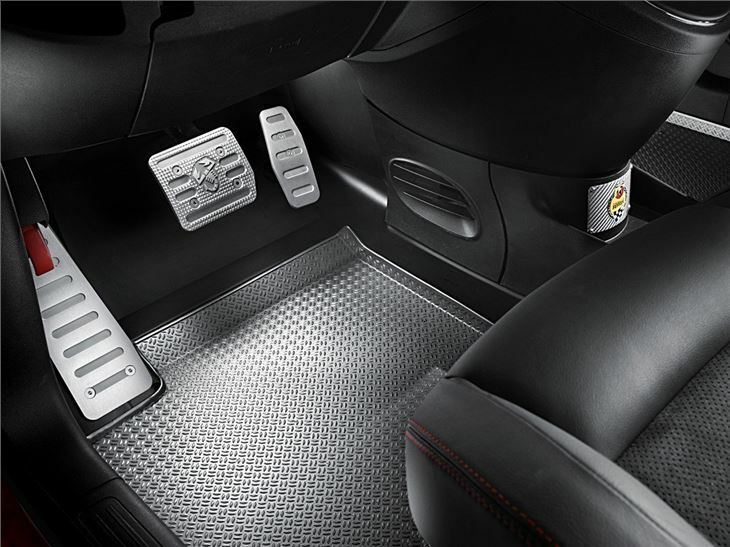 Mounted behind the steering wheel are the paddles for the electro-hydraulic Abarth Competizione gearbox which has manual and auto modes. Pressing the Sport button on the dashboard activates a more racy setting for the gearbox, engine control unit and steering for an even more responsive drive. The original Abarth 695 was introduced in the mid-1960s. The pinnacle of this series was a 38hp engine - though fine-tuning could raise this to over 50hp. "Abarth and Ferrari are both iconic names in Italian automotive history," says Ivan Gibson, head of Abarth in the UK. 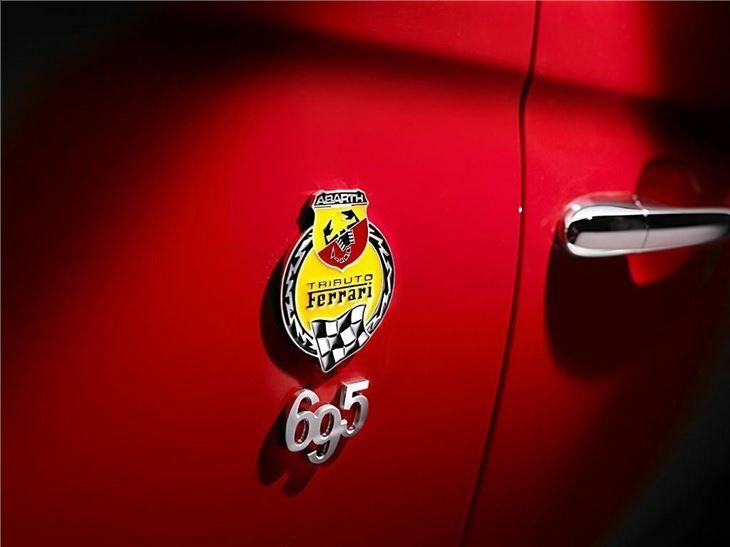 "Their passion and dedication helped to create a reputation for sporting excellence in Italian cars around the world, and this new Abarth 695 Tributo Ferrari upholds that tradition with some style." 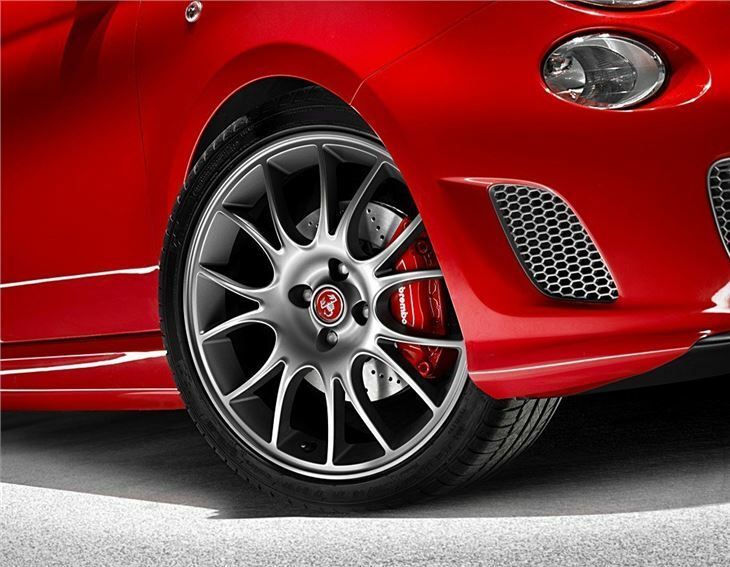 The Abarth 695 Tributo Ferrari is available to special order only, through Abarth's 17-strong UK dealer network.